Ample opportunities for a day's adventure. Starts at Dawn Creek Rd near Dwellingup. Seasonal conditions may affect if the track is open or closed. Please check with Parks and Wildlife before departing. 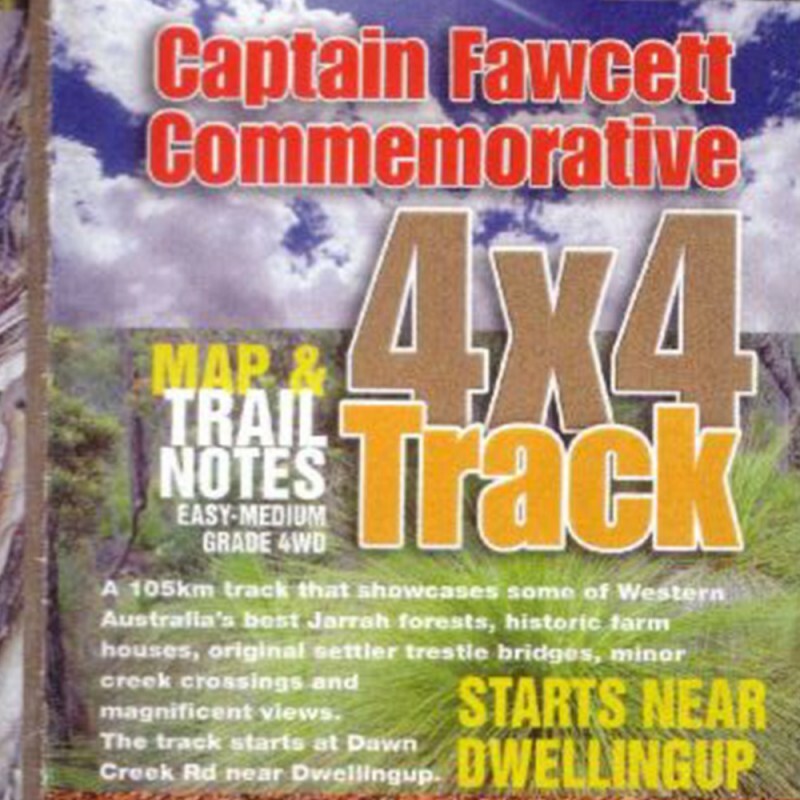 The Captain Fawcett Commemorative 4x4 trail is a 105 km track that showcases some of Western Australia's best Jarrah forests, historical farm houses, original settler trestle bridges, minor creek crossings and magnificent views. The track provides ample opportunities for a day's adventure. The track starts at Dawn Creek Rd near Dwellingup. The easy to medium grade 4WD section starts within the Lane Poole Conservation Reserve (see Map link below). Much of the track runs along old rail embankments where the timber trains once hauled the forest trees into various mills. Remnants of an old rail bridge stand adjacent to the track. Other sections may be on tracks made by timber cutters to access the forest. There are places along the track where you can pull off and enjoy a picnic on your way. For further information please contact the Parks and Wildlife Perth Hills District office in Mundaring on (08) 9290 6100.